We're showing information for 90266. Modern consumers prefer to make informed purchases. They do their research and only enter relationships with the companies they consider to be leaders in their industry, which means competition throughout the greater California area is relatively stiff. Manhattan Beach, CA companies have to go futher to attract loyal new clients. Business owners who want to stand out need dependable, rapid connections to current and future customers. Frontier Business packages offer a variety of phone and Internet services—including Business High Speed Internet—designed to help you stay connected with both your customers and employees. Becoming the go-to company in aggressive markets like those that exist in The Golden State requires access to effective tools. It is estimated that Manhattan Beach’s job-growth rate will reach an average of 23.02 percent in the near future. That means that the best companies aren’t just vying for new clients—they’re also working to attract the best employees. Frontier’s services for small businesses can help by providing a number of features designed to reach out to potential customers, partners, and employees—all while also helping to retain current customers through relationship building. Frontier Texting can help boost your sales campaigns. 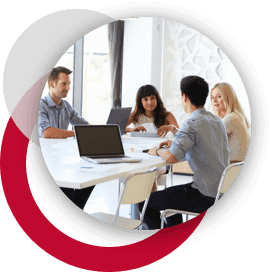 Stay in touch with employees and set goals with the Conferencing feature. You’ll also experience a new level of confidence in your information security and connection with Managed IT services. Plus, with Web Development and Hosting options, your business will stand out from your online competitors. Many California businesses are experiencing a surge in growth and development. While this can be positive for the bottom line, expansion also comes with a degree of uncertainty. Fortunately, you can avoid these problems and secure long-term success with Frontier’s Enterprise Solutions. scalable Ethernet (Local Area Network and Virtual Private Line) is one way that Frontier can help you establish a stable connection because it can expand with your business, as it grows. Plus, you can use digital asset over a safe IP connection with our IP Virtual Private Network. However, business owners in a competitive market like Manhattan Beach have to be adaptive and ready for more than just growth. Is it easy for customers to communicate with your business, or is there room for improvement? 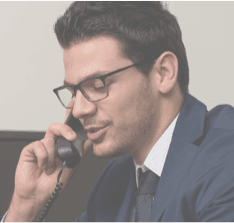 With Centrex from Frontier, your business will be outfitted with straightforward telephones to help you stay connected. You’ll have the traditional features you expect and the advanced features that make your job easier. Frontier Communications also provides phone lines with pristine and reliable connections. This gives you more time to devote to your The Golden State clients while Frontier takes care of hosting, network design, equipment, and monitoring. And if you’re looking for exceptional sound quality with features such as Caller ID, unlimited in country calling, Voicemail, and voice-to-email integration—our Hosted VoIP solution has you covered. It doesn't matter what industry you are in, from Finance to Hospitality, your customers and potential customers want to be able to get in touch easily and efficiently. Your customers will expect to be able to get in touch with you over their preferred means of communication, whether that be through email, on the phone, or in person. Meeting these needs will help you attract new customers and retain current ones. By choosing Frontier in your area, you get dependable customer service and advanced infrastructure and equipment. Plus, Frontier's services are customized to fit your industry, so you'll be a step ahead of the competition. Did you know that 0 cybercrimes were reported in California throughout 2013? Despite this troubling data, there are ways to protect your business’s online assets and keep it from becoming another statistic. With malware and virus protection products coupled with cloud back up and tech support services, you can rely on Frontier Secure to keep your business safe. Companies in California can also take advantage of equipment replacement programs from Frontier. Although 37Mbps is the average speed in California you’ll get much faster service with Frontier. In fact, you can expect speeds up to . With speed like that from you business Internet you can spend more time growing your business and less time waiting on slow downloads. Keep your business moving forward while staying protected with help from Frontier’s roster of services and products.